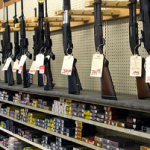 From Mediaite: Following Friday’s tragic Aurora, Colorado movie theater shooting, there has been increased coverage of gun rights in the media. There have also, apparently, been increased gun sales. 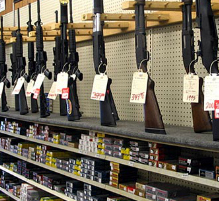 Reports Mediaite, “The Denver Post reports that background checks for people wanting to buy guns in Colorado spiked by more than 41 percent since the Aurora, Colo., movie theater shooting that left 12 people dead and dozens more injured. Coloradan firearms instructors say they’ve seen increased interest in the training programs required for a concealed-carry permit… The Post reports that between Friday and Sunday the Colorado Bureau of Investigation approved background checks for 2,887 people who wanted to purchase a firearm. That’s a 43 percent increase over the previous weekend and a 39 percent jump over the first weekend of July.” Read the article here. From Gossip Cop: There is legal trouble for the Jackson family involving both money (Michael’s will) and custody (of Michael’s children.) Recently, a scuffle at the Jackson home became a very public affair. Now, the children may be moving for security. Reports Gossip Cop,”The executors of the late King of Pop’s estate plan to go to court to secure a temporary guardian for Prince, Paris and Blanket since their current guardian, grandmother Katherine Jackson, has been away from home for more than a week amid family chaos and an alleged plot by her children to take control of the estate. A lawyer for Tito Joe Jackson (better known as TJ), the 34-year-old son of Tito Jackson and the three minors’ first cousin, will reportedly ask a probate judge to make him the temporary guardian, according to TMZ.” Read more about the controversy here. From Geekosystem: London is gearing up for the 2012 Olympics, which begin this Friday. Every bit of London is getting involved, including the London Eye, which will act as a mood ring of sorts to track the emotion of the tweets about the Games. 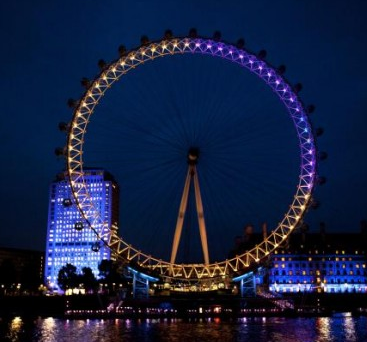 Reports Geekosystem, “The London Eye will be taking the pulse of the United Kingdom… lighting up at 9:00 PM every night colored with tweets on the Olympics. The show started last Thursday… The team will scan U.K.-based tweets for phrases like ‘Olympics,’ ‘Torch Relay,’ ‘#energy2012,’ and “London 2012,’ and put the tweets through Sentistrength, Sosolimited’s sentiment system that assigns points based on the intensity of the emotion expressed in the tweet, whether positive or negative… Positive sentiments will turn the London Eye yellow and negative sentiments will turn it purple. 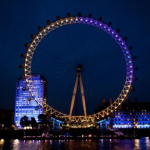 So if the collective tweets are 75% positive, the London Eye will be 75% yellow and 25% purple.” Read more about the algorithm here. From Styleite: Extremely exciting news for fashionistas today: MTV is bringing back House of Style! House of Style was the legendary documentary series that took viewers backstage, on set, and behind the scenes in the fashion world from 1989-2002. Reports Styleite, “For those who were too busy with crayons and monkey bars to catch the show the first time around, MTV has posted some choice clips for your viewing pleasure. And when we say choice, we mean CHOICE. Think Cindy Crawford shooting with Helmut Newton in Monte Carlo, Victoria Beckhamflexing her early styling muscles at the mall back when she was still known as Posh Spice, and even a cameo or two from Karl Lagerfeld, pre-weight loss. Peaked your interest yet? We thought so. MTV has already posted many of the segments online, but believe us when we say there’s plenty more fashion fabulousness where that came from.” Read more about the show’s past and future here. 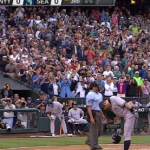 From SportsGrid: It was a strange night for New York Yankees fans, Seattle Mariners fans, and especially Ichiro Suzuki. Yesterday, he was traded by the Mariners to the Yankees. Trades happen sometimes, but the bizarre factor is this: the Yankees were in Seattle, playing the Mariners. So he had to put on pinstripes and face his former team at his former ballpark. Writes Sportsgrid, “Things could have been awkward for Ichiro Suzuki and his now former team, the Seattle Mariners. 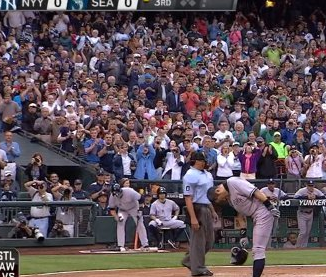 We wouldn’t have blamed Mariners fans for breaking down hysterically — or Ichiro for lamely striking out — during his first at-bat. Neither of those things happened.” Instead, there was an “outpouring of support for the gracious outfielder” that “was as raw and earnest as it gets.” And then? He singled. Watch video of his at-bat and read more here. 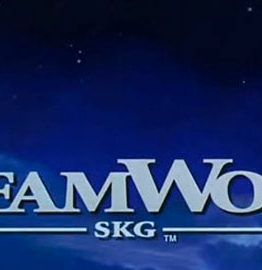 From The Mary Sue: Big animation news: DreamWorks Animation (who brought us Shrek, Madagascar, and How to Train Your Dragon) has just acquired the privately owned animation studio, Classic Media. Why should you care? Reports The Mary Sue, “Classic Media owns the motherload of awesome cartoon and comic properties. And all it cost them was $155 million in cash… [I]t states in the press release, ‘Classic Media owns one of the world’s largest comic book archives and media rights to the titles in the Golden Books library, which have sold over two billion copies worldwide.’ They were founded by former Marvel Entertainment CEO Eric Ellenbogen and Broadway Video executive John Engelman who wanted to gather properties they thought weren’t getting enough exposure.” Now, DreamWorks has the rights to Casper the Friendly Ghost and Gumby, among several others. Read the full list here. From The Jane Dough: Sad news today for female pioneers. Inspirational figure, physicist and first American woman to explore outer space Sally Ride has passed away today after a year and a half-long battle with pancreatic cancer. 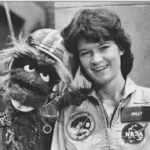 Reports The Jane Dough, “A Monday press release reports that the science writer and CEO of Sally Ride Science ‘died peacefully’ and is survived by her mother, sister, niece, nephew, staffers, friends, and partner of nearly 30 years, Tam O’Shaughnessy. The former astronaut was part of the Space Shuttle 7 crew in 1983, making her the first American female to go into outer space. 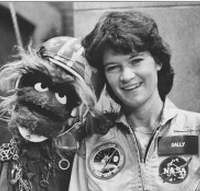 In addition to changing the realm of space travel for women, she added several ‘Sesame Street’ appearances to her resume as well. She was 61. We lost a well-rounded woman today.” Read the story here. From The Braiser: What would you eat if it were your last meal on Earth? 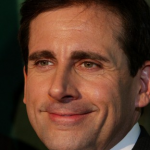 Better yet, what would Steve Carrell eat if it were his last meal on Earth? 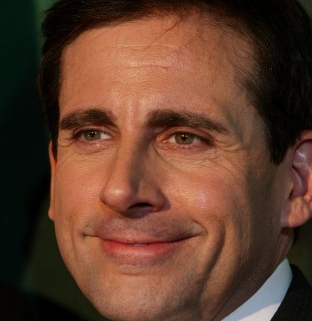 Reports The Braiser, “Bon Appetit has an interview up with The Office star Steve Carell, and the obvious question, given that he’s currently promoting Seeking a Friend for the End of the World, is: What would he eat if this were his last meal on earth? The answer: a burger made by the Wahlberg brothers. A Wahlburger, if you will. Specifically: ‘A cheeseburger, fries, and a shake from Wahlburgers, which is owned by Mark Wahlberg and his brothers Donnie and Paul. That burger holds up against all others. '” Read more, including why The Braiser disagrees with his burger choice, here.